The infestation of Lironeca puhi in the fish Strongylura leiura was studied. Infested fish exhibited gill damage was subjectively determined as minor, major and massive damages. A marked increase in the size of the parasite existed with the development of a marsupium full of juvenile isopods. This significantly increased the pressure atrophy caused by the presence of the parasites. The percentage reduction of respiratory surface area in the II and III gill arches was 18.3 and 29.7, respectively. A significant reduction in the gill surface area was observed due to infestation. The reduction in gill raker count was observed as a function of infestation. Infested fishes had extremely pale gills indicating anemia. Gill rakers were seriously lost, apical edges were damaged and gill lamellae were heavily destroyed. S. Ravichandran , 2007. Infestation of Isopod Parasite Lironeca puhi in Slender Needle Fish Strongylura leiura. Research Journal of Parasitology, 2: 87-93. Several facultative and obligatory parasitic members of the order Isopoda are deleterious parasites on fishes and are capable of exhibiting tremendous destructive activity Isopods are conspicuous parasites, on the body surface, in the branchial chamber, or inside the buccal cavity. Menzibes et al. (1955) noted erosion of gill filaments by isopod parasite Lironeca conveka whose males often crowded the branchial chamber. Rockicki (1982) observed partial or complete disappearance of gill filaments of Selar crumenophthalmus. The infestation of isopod parasites in fishes is scanty (Williams and Williams, 1994; Ravichandran et al., 1999, 2000, 2001, 2007a,b; Grutter, 2003; Cuyas et al., 2004) and no such studies have been made on the infestation of Lironeca puhi in Strongylura leiura. Hence the present attempt was made to study the influence of isopod infestation on host fishes along with reduction of the respiratory surface area, extensiveness of parasite damage like lesions due to reproduction, feedings, pressure and developmental stages of the parasites. In the routine observation of S. leiura fishery in Parangipettai, an interesting incidence of isopod parasitization in several specimens was observed. Fishes were collected from three major landing centres viz., Mudasaodai, Annankovil; Pudupettai and subsequently preserved in 10% neutral buffered formalin for further studies (Fig. 1). The total median dorsal surface of the isopod from the anterior region between the eyes to the posterior extremity of the telson. Egg and larvae were removed from female isopods, counted and random samples of 10 were measured for total length and maximum width to the nearest 0.01 mm. The influence of infestation of respiratory surface area of gill arch was studied. The gill arches of infested and uninfested fishes were carefully dissected out and blotted to remove the moisture. The imprint drawing of each gill arch on millimetre graph paper was used to calculate the surface area of gill arch. Surface area of each tracing was determined by counting then number of small squares and the total area was obtained. The value was taken doubled to consider the total functioning of the gill arch. The total (functional) surface area of gill arch of both infested and uninfested fish was compared and the difference in area was considered as the reduction of respiratory area due to infestation. Students t-test was employed to signify the influence of infestation. The average gill raker count of first, third and fourth gill arches of S. leuira was made. The data collected were tabulated and variation in the gill raker count as a function of infestation was recorded. They were then analysed statistically using students t-test. Infestation frequencies ranged between 12 and 23% in S. leiura from the 3 stations (Table 1). The infested fishes were in poorer condition with hemorrhages from the eyes, opaque lenses in snouts and fins and body scars. Fish in the uninfested appeared healthy. 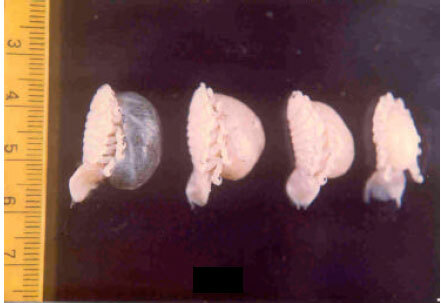 During transitional stage the parasite facing posteriorly in the host and attached to the gills. It caused considerably damage to gill filaments, arches rakers and opercles. After the transition was complete the parasite faced anteriorly in the buccal cavity. Isopods of different developmental stages were separated into two groups according to their positions in the fish (Table 1). The largest isopods, all of which faced anteriorly, are called mature females. Those facing posteriorly and attached to the gills were called transitional. The amount of gill damage caused by the presence of isopods in the transitional stage varied among the fish. The severe damage would suggest that the host tissue were eaten. Gill damage was subjectively determined as minor when a small section of filaments was destroyed, as major when large section of filaments was destroyed and as massive when a gill arch was broken (Fig. 2). The number and sizes of eggs and embryos in broods were not known for the proteanderous hermaphrodites and gravid females when the young were held until they were juvenile (Manca larvae) with eyes, antenae and six pereopods formed (Table 2 and Fig. 3). The reduction of surface area of gill arch of S. leiura due to infestation of L. puhi is represented in Table 3. Considerable variation in the respiratory area was observed owing to the attachment of the L. puhi. The percentage reduction of respiratory surface area was maximum (30.2) in the III gill arch and minimum (9.4) in the I gill arch. The percentage reduction of respiratory surface area in the II and IV gill arches was 18.3 and 29.7, respectively. A significant (p<0.01) reduction in the gill surface area was observed due to infestation. Reduction in the number of gill rakers was noticed due to the attachment of L. puhi in the branchial chamber (Table 4). In infested male fish, the percentage of gill raker count was 43.0 and that of uninfested it was 58.2. In infested female fish, the percentage gill raker count was 44.8 and in uninfested it was 53.9. The percentage reduction of gill raker count was more pronounced in male fish (15.2) than in female fish (9.1). The reduction in gill raker count observed as a function of infestation was found to be statistically significant (p<0.01). Infested fishes had extremely pale gills indicating severe anemia. Gill rakers were seriously lost, apical edges were damaged and gill lamellae were cut off and heavily destroyed. Some secondary gill lamallae were fused or thickened. Between the gill lamellae calus-like thickenings were observed. Gill lamellae of the first and second gill arches were eroded due to L. puhi and the damage was concentrated towards the posterior position. A wide depression was found due to the lodging of parasites at the gill clefts and the gill arches showed torsion (Fig. 2 and 3). Cymothoid isopod causes serious problems to host fishes either directly or indirectly affecting the physiological functions of the host (Brusca, 1981; Segal, 1989; Maxwell, 1982; Williams and Williams, 1994; Ravichandran et al., 1999, 2001). According to Kabata (1985), no serious attempt has so for been made to estimate quantitatively the variation of the branchial region, exuberant production of epithelial tissue and significant reduction of the respiratory area of the gills. In the present study, a marked increase in the size of the parasite with the development of a marsupium full of juvenile isopods (Fig. 3) and this significantly increases the pressure atrophy caused by the presence of the parasites. The percentage reduction of respiratory surface area varies depending upon the nature of attachment of the parasites. The maximum reduction observed in the III gill arch (30.2%) is mainly due to the heavy pressure exerted by L. puhi and second maximum reduction in the IV gill arch (29.7%). The difference in the percentage reduction among different gill arches can be attributed to the location of attachment of L. puhi on gill arches. Significant reduction of respiratory surface area may depend largely on the longevity of infestation. Similar observation has been made by Williams and Williams (1985) in the serious erosion of gill filaments in the III and IV gill arches of Akudefdut saxatilis due to the adult female isopod Kuna insularis. The gill filaments of Hawain morey cell Gmnothorax eurostus are lost in the anterior or posterior region of gill arches owing to the attachment of L. puhi (Bowman, 1960). The smaller males and juveniles for isopod Oleneira praegustator parasitic on gulf of menhaden cause change on the gill filaments through seeding (Overstreet, 1978) A similar nature of damage due to seeding has been noticed in the case of L. puhi which ensures firm grip through its ventral side facing the gill filaments of third gill arch. But Ravichandran et al. (1999) have found a situation reverse to the above in that the dorsal surface of the parasite is facing the first gill arch of Ilisha melastoma infested by Joryma brachysoma. The damage of gill filaments is not only due to feeding, but also by the pressure exerted by the parasite. The reduction in the surface area is due to several factors such as mode of contact, size, movement and duration of stay of the parasites. Severe gross lesions observed as a consequence of isopod infestation are the pale gills, erosion of gill lamellae and damaged gill rakers. Pale gills of infested fishes indicate anemia, which may be due to loss blood as a result of obstruction of branchial circulation by the attachment of parasite and of the haemophageous nature of the branchial cymothoids (Ramestand, 1979). The calus-like thickenings on the gill filaments and gill arches are mainly due to the heavy pressure exerted by the parasite and also by their feeding nature. Kabata (1985) has also observed destruction of host tissue as a result of the pressure exerted by the parasite body, when present in the gill cavity. Longer stay of parasite within in the gill chamber may also prevent and obstruct the normal growth of the gill arches. This is due to the torsion of gill arch and fusion of gill lamellae. 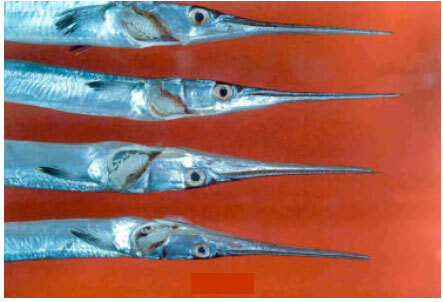 Penetration of pereopods also causes bulging of gill arches at the affected portion. A lesion associated with reproduction of parasites to the host is related to the direct activity of the parasites. A marked increase in the size of the parasite is associated with the development of marsupium full of juvenile parasite. This can significantly be increased the pressure atrophy caused by the presence of the parasites. The marsupium of Lironeca is swollen with young, fills up most of the gill chamber and must diminish the flow of water through oxygen uptake in the parasitized gill chamber. The fish reaction is increased encapsulation, inflammation of those portions of the parasite that enter the fish. The infestation of parasites is related to attachment feeding and reproductive activity of the parasite. The infestation usually pressure atrophy often accompanies the presence of larger parasites. They may lead to economic losses in commercial species of fish. Brusca, R.C., 1981. A monograph on the isopoda cymothoidae (Crustacea) of the Eastern Pacific. Zool. J. Linnean Soc. London, 73: 117-199. Cuyas, C., J.J. Castro, A.T. Santana Ortega and E. Carbonell, 2004. Insular 175 r stock identification of Serranus atricauda Pisces Serranidae through the presence of Ceratothoa steindachneri isopoda cymothoidae and Pentacapsula cutanea myoxoa pentacapsulidae in the Canary Islands. Sci. Mar. Barc., 68: 159-163. Grutter, A.S., 2003. Feeding ecology of the fish ectoparasite Gnathia sp. crustacea isopoda from the great barrier reef and its implications for fish cleaning behavior. Marine Ecol. Programe Series, 259: 295-302. Kabata, Z., 1985. Parasites and diseases of fish cultured in the tropics. Isopoda tayler and Francis, London, pp: 265-271. Maxwell, J.G.H., 1982. Infestation of Jackmaekeral Trachurus deelivis Jengus with cymothoid isopod Ceratothoa imbricatus Labricus in South Eastern Australian waters. J. Fish. Biol., 20: 314-349. Menzies, R.J., T.E. Bowman and E.G. Alverson, 1955. Studies of the biology of the fish parasites Litoneca convexa richardson crustacea isopoda cymothoidae wasman. J. Biol., 13: 277-295. Overstreet, R.M., 1978. Marine Maladies Worms Germs and Other Symbionts from the Nortern Gulf of Mexico. Mississippi Alabama Sea Grant consortium, Sea Grant College, pp: 140. Ramestand, B., 1979. Ecophysiology of parasitic cymthoidea. Annales de Parasito. Paris, 54: 423-448. Ravichandran, S., A.J.A. Ranjith Singh and N. Veerappan, 2001. Parasitic induced vibriosis in Chirocentrus dorab off Parangipettai coastal waters. Curr. Sci., 80: 101-102. Ravichandran, S., A.J.A. Ranjith singh, N. Veerappan and T. Kannupandi, 1999. Effect of ispod parasite Joryma brachysoma from Parangipettai coastal waters. Ecol. Environ. Conserv., 5: 95-101. Ravichandran, S., P. Soundarapandian and T. Kannupandi, 2000. Infestation of isopod parasite Epipenaeon ingens Nobili parasitized on Penaeus monodon from Parangipettai coastal environment. 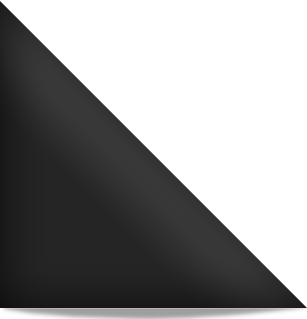 Adv. Biosci., 19: 73-78. Ravichandran, S., T. Balasubramanian and T. Kannupandi, 2007. Incidence of parasitic isopods on the fish Sphyraena obtusata. Res. J. Parasitol., 2: 45-50. Ravichandran, S., T.T.A. Kumar, P.R. Ross and M. Muthulingam, 2007. Histopathology of the infestation of Parasitic isopod Joryma tartoor of the host fish Parastromateus niger. Res. J. Parasitol., 2: 68-71. Rokicki, J., 1982. Lironeca indica Edwards 1840 (Crustacea, Isopoda) from Selar Crumenophthalmus Block waid. Parasitenkunde, 52: 91-95. Segal, E., 1989. Behaviour of jewenile Nerocila acuminata (Isopoda, Cymthoidae) during attack and attachment and feeding on fish prey. Bull. Mar. Sci., 41: 351-360. Williams, E.H. Jr. and L.B. Williams, 1985. Cuna insularis from the gill chamber of the sergeant major Abudefduf saxatilis linneaus in the West Indies. J. Parasitol., 71: 209-214. Williams, E.H. Jr. and L.B. Williams, 1994. Ryukyu globbosa n. gen. n. sp and R. circularis n. comb, parasite in the opercular chambers of pacific and Indian ocean clupeid fishes. J. Aquat. Anim. Health, 6: 155-161.